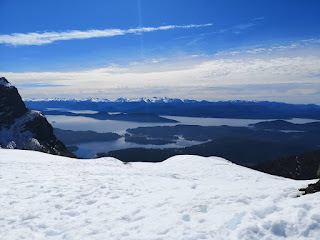 San Carlos de Bariloche is well known because of its famouns ski resort, Cerro Catedral, the biggest in Southamerica. Skiers and snowboarders and snow lovers alike enjoy the majestic mountains and amazing lakes views. On top of that, the city offers a wide variety of options for chilling out, and learn Spanish. La Montaña Spanish school offers personalized Spanish courses so that students can enjoy the slopes and pow before or after Spanish lessons, which are held in a very convenient location in town center. The school also offers the option for a Family-stay so students can practice the language during dinner with host-families but also meet other fellow students to set some plans to hang around. This little safe town is famous also for its endless chocolaterías and micro breweries. Sounds like the perfect place to spend some days next July/August/September, right?